Here’s how it would go down…first off, Google would never attempt to buy Facebook, and vice versa for 2 reasons: 1. Both companies would never consider the offer, and 2.The FCC would NEVER approve it. So lets say in 2020 that they decided to form a mutual partnership, or a type of merger. That way a lot of technicalities would be avoided. But why would they want to? What would this bring? This is where it gets scary…. Google knows what IP number is searching where, at ALL times. They know where that IP number likes to shop, what they browse on eBay, what companies it send job applications to, credit card numbers, bank account details..you name it, Google has it. What Google does NOT have are the FACES and "personal" information of 700,000,000 of those internet users. And we all know who does: Facebook. Simply put, a partnership between Google and Facebook would effectively mean that when it comes to the internet, they would in essence hold ALL of the worlds information. …upon walking there, you are prompted again via your Android phone that you have a FB notification. You open it to find that you have been invited into 3 different job interviews next week at 3 different tech companies. Why did this happen? Because Google noticed last week that you applied for a job at a tech company via Gmail and never received an answer back. It then, with your permissions already set, sent an email via Gmail and FB with a cover letter and resume to 10 other tech companies similar to the one you applied at in the same city for the same position automatically. It then enters the appointments into your calendar and syncs with your phone based on the free days you have in your calandar. Appointment set. On your way back from the flower store, you receive another notification that an attractive young lady on Google+ wants to meet with you tomorrow evening. This is because your status is set to “searching for someone”. What happened here? Why all because of the ex girlfriend that you had on Facebook of course! Together, Google+ and FB “indexed” your ex and found traits and characteristics that you “like” in a partner. In this case, it found a 26 year old full time worker with blonde hair, green eyes, likes Italian food, traveling, and Dan Brown movies. You’re also being prompted to accept a dinner reservation for an Italian restaurant that’s exactly in the center of where you both happen to live. And after your dinner, you’re prompted from your phone if you would like to order “The Da Vinci Code” directly to your Google TV for that night at 11pm for a cuddly evening with your date on the couch. See where I’m going with this? Sure, this would require insane user permissions, terms and conditions, and for you to freely trust the internet with your information. Silly? Sure it is. But is it possible? You bet your %$& it is. And remember, this is an example of how it could work in a GOOD way. This type of power would also make new types of internet fraud, blackmailing, forgery, ect possible as well. If this partnership ever happened, the government would probably want to regulate it, as there are simply too many possibilities. I for one think that the described scenario could be AWESOME and DAMN SCARY at the same time. What do you guys think? Facebook is probably the biggest communication invention since the telephone, and Google has taken every piece of the worlds information and put it at your fingertips. Imagine always knowing when your favorite band is playing in your city, when job vacancies open up, when that TV you were looking for just was put on eBay at a great price, or if that girl you liked since high school just moved to your city. 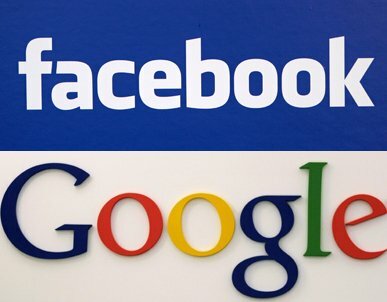 What do you think would happen if Google and Facebook woke up tomorrow and said, “lets be REALLY good friends”?